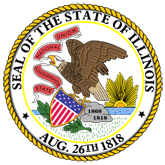 This guide has been designed to help vendors and other entities familiarize themselves with key elements of Illinois ethics laws as they apply to people doing business with State government. 1. Vendor Ethics in Illinois (20060907184039_VendorEthics.pdf).